CRYONOMIC® dry ice blasters are being more and more integrated into automated cleaning lines. 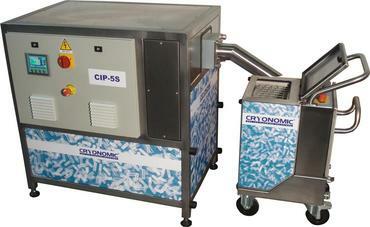 To guarantee the continuous flow of dry ice pellets, in-line pelletisers are the answer! The blaster and pelletiser work hand in hand to accept or avoid production stops in the automated line.